Does a Spine Injury Prevent You From Working? If you cannot work because of a back or neck injury, you may be eligible for Social Security benefits. 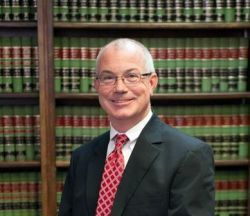 Stephen H. Hagler LLC, has more than 15 years of experience helping people in Georgia and South Carolina get the benefits they need. We want you to know that you can be confident with our experience on your side. Spinal cord injuries come in many forms. Perhaps yours involves a painful bulging or herniated disc. Perhaps it is even more severe, involving nerve damage or paralysis. No matter what the nature of your spinal cord injuries are, if they prevent you from working, we can help. We understand that this is a difficult situation for you. You may want to work and are no longer able to do that job because of the spinal cord injuries you have suffered. You have the right to seek Social Security disability (SSD) (also referred to as Social Security disability insurance (SSDI)) or supplemental security income (SSI). These programs were created for people like you. All cases involving spinal cord injuries are handled on a contingency basis, which means we don’t charge unless we get results. If we are successful, we will only ask for a percentage of the past due Social Security benefits you are entitled to. This percentage is set and capped by statute, meaning that all lawyers essentially charge the same for this service. In other words, you should choose an attorney based on experience and ability, rather than price.